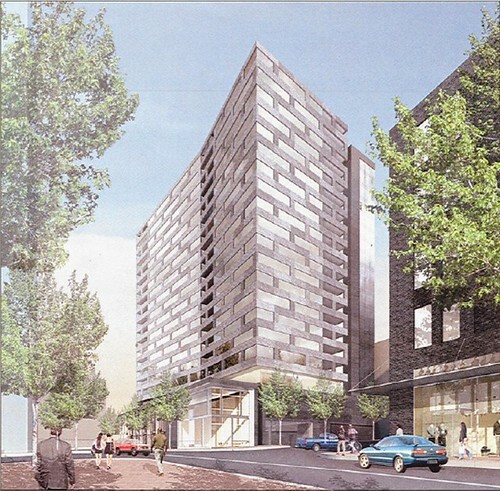 just up the pike: silver spring charrette at fenton street market this weekend! silver spring charrette at fenton street market this weekend! This week at Fenton Street Market, I'll be moderating a community charrette on the future of Silver Spring. Market founder Hannah McCann conceived the event, which will run from 10am to 2pm on Saturday at the corner of Fenton Street and Silver Spring Avenue. 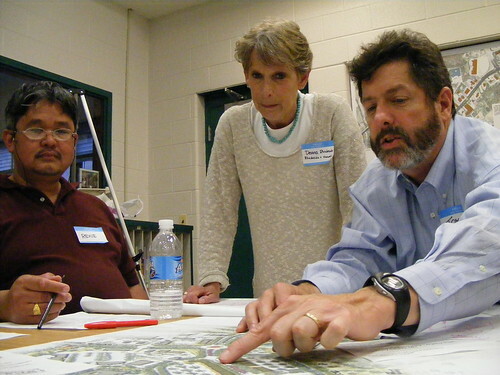 A charrette is a short, intense design workshop usually involving designers, public officials, and members of the general public. They're meant to create a vision of what a community's stakeholders would like to see the place become. Two years ago, Burtonsville held a charrette for its village center (pictured above), with dubious results. Seven local architects will be leading the Fenton Street Market charrette, which raises the question, "What is Silver Spring now? What should it become?" They'll be manning tables at the market, which you can stop at throughout the day and put in your two cents. We'll have photos from Silver Spring's past, courtesy of the Historical Society, and its future - like this building at right, set to rise on Ripley Street. I'll take your thoughts, suggestions and sketches and hang them up for all to see - and for Reemberto Rodriguez, director of the Silver Spring Regional Services Center, to preserve for posterity. Silver Spring’s downtown area has seen rapid growth in the last decade, and there’s more to come. Hotly debated issues include how to balance new and old construction, how to develop the Fenton Street Village area, and how residential and commercial neighborhoods can coexist in harmony. The May 22 design charrette is an opportunity to shape your vision for the future of the neighborhood. For politicians, the media, and developers, a better understanding of what this community sees in its future. - Darrel Rippeteau, principal of Rippeteau Architects, who designed streetscape improvements along Georgia Avenue in Shepherd Park, D.C.
1) What will Silver Spring look like in 5, 10 or 20 years? 2) What do we want built in our neighborhood? 3) How much development do we want? 4) How will we get around? For more information, you can e-mail me at justupthepike at gmail dot com or Hannah at hannah at fentonstreetmarket dot com. We'll see you on Saturday!